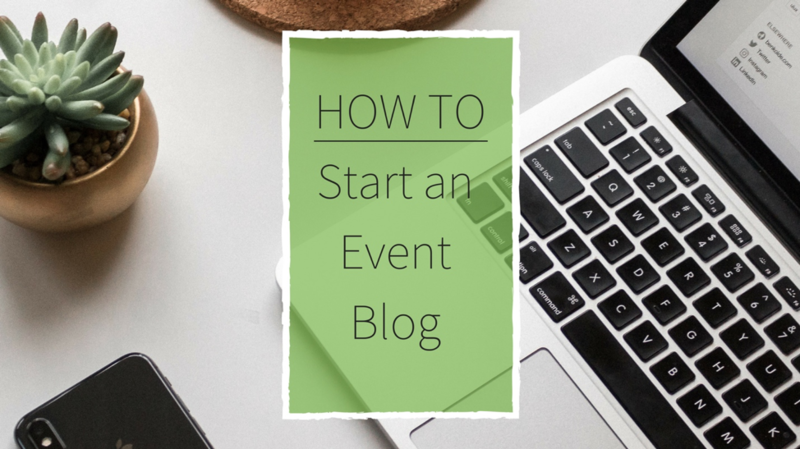 Ever considered writing a blog for your event business? This is a question I get a lot from members of our community. So, in today’s training video, I walk you step-by-step to start an event blog in very little time. You’ll learn simple, actionable steps that you can start using today – because between the lingo, platform options and topic choices, writing a blog can be overwhelming at the beginning. A few years ago, I was just like you. 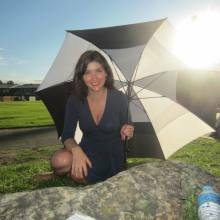 I had an idea to start an event blog that would educate event business owners. Fast forward and we’ve got followers from around the world, tens of thousands of subscribers and are Internationally recognized. Regardless of your event niche, blogs are an excellent opportunity to showcase your knowledge and expertise, market yourself and your business, and educate your audience. If you’re looking to attract event clients and create an online presence for your event business, there is no simpler, less expensive, and more efficient way than to start an event blog. And the best part? It requires no tech experience! * Spoiler Alert: This requires very little time (less than an hour) and very little cost! Step 1: Register Your Blog Domain – A domain is the address that will direct to your blog. 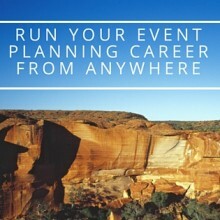 For example, www.eventplanningblueprint. This is your unique identifier. There are many different platforms to register your domain, such as WordPress which starts at only $60 a year. I highly recommend WordPress because you can connect directly to your blogging platform and it is extremely user-friendly. You can write your blog in a document and then copy and paste directly into WordPress. You can also add photos, easily make edits, and customize it to fit your business needs by enabling different features like social sharing, tags, author name, and categories. Step 2: Pick a Theme – A theme refers to the visuals of a website. It includes the aesthetics, such as the color scheme, layout, and fonts. This is an important factor of your blog, as it will represent you and your brand – so make sure you design it to reflect your identity. WordPress has hundreds of free, pre-established themes to choose from – this means no coding for you! Phew, right?! Step 3: Modify Your Blog – Once you have picked the theme best suited for you, you may have to make a few modifications to make it look exactly how you wish. This can be as simple as moving the navigation bar or more in-depth, such as re-organizing the blog layout. If there is something more technical, you may consider hiring a WordPress developer since some of your preferences may require coding. I also recommend setting up a free Feedburner account for subscribers. This way, your audience can subscribe via email and RSS subscription. If you aren’t familiar with these terms, no worries! It just means that your subscribers (those who want to regularly read your content) will be automatically notified of your new blog posts! Lastly, I suggest you create a free Google Analytics account to track your website visitors. Just as a heads up, it does typically take about 6 months for Google to rank your blogs – this is to filter out spam and ensure Google is ranking valuable content. That being said, it is likely you will not see results immediately, but keep at it because it does pay off! Step 4: Plugins – Once you have customized your theme and created an aesthetically pleasing website, you may find that you want to add specific features to your blog. With a quick Google search of “WordPress plugins” you will quickly find that there are hundreds of free (and often tempting) plugins to choose from, but as hard as it may be, choose your plugins wisely! Social Media Sharing – This allows your readers to easily share your blog across the social media channel of their choice, which means more readers for you! As I mentioned, SEO is a little more for the advanced bloggers and I don’t want to overload you with information, but we do have a more detailed and in-depth blog on SEO and the use of keywords. Once you get your blog up and running and you feel comfortable taking on a few new ideas, I suggest you take a look at this blog so that you can start ranking your blogs to show up at the top of Google. Step 5: Create Content – The fun part! This is where you put your ideas, thoughts, advice, tips or tricks, online! As a new blogger with little to no experience, it can be difficult to decide on a topic for your first few blogs. One of the most effective and simplest ways to choose blog topics is to start with the top 10 questions you get from your clients. This can be anything from why an event planner is needed, to what an event planner does. Whatever questions you get asked, take note! 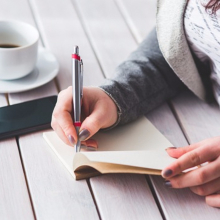 If you don’t have a blog post on that topic, write one. Chances are, if one person has that question, there are many others who have that same question. Another technique that results in blogging success is consistency! There is no “best day” to post, and really depends on the most practical and feasible time for you. But, if you create and commit to a schedule, your audience will know when to come back and you will be held accountable for blogging. If you hope to just find a day and time each week, you will find yourself procrastinating and your audience leaving. Also, to note, it’s a good rule of thumb to post at least once a week. This keeps your content fresh, your audience engaged, and Google tends to like regularly-updated websites! Blogging is a powerful tool for Eventies in any niche! If you follow this quick and simple 5-step technique, I can assure you that you will be on the right track for success. Have any additional tips to start an event blog? Ready to Grow Your Event Business? Yes, Let's Get Started!